An estimated 3.3 million American Muslims are celebrating the month of Ramadan. 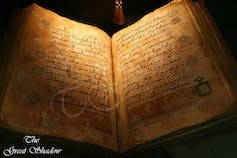 It was during this month that Prophet Mohammad first received revelations from God. The Thomas Jefferson memorial in Washington, DC. The holiday has been celebrated at the White House with American Muslims since 1996, when First Lady Hillary Clinton began the tradition. However, this year, as media reports indicate, it is likely that the White House will not host the traditional reception. Neither, it seems, will the State Department under Secretary Rex Tillerson, even though the holiday has been commemorated there, either during Ramadan or at its end, Eid al-Fitr, since 1999. Despite the relatively recent nature of these formal celebrations, the fact is that Islam’s presence in North America dates to the founding of the nation, and before, as my book, “Thomas Jefferson’s Qur’an: Islam and the Founders,” demonstrates. Muslims arrived in North America as early as the 17th century, eventually composing 15 to 30 percent of the enslaved West African population of British America. (Muslims from the Middle East did not begin to immigrate here as free citizens until the late 19th century.) Even key American Founding Fathers demonstrated a marked interest in the faith and its practitioners, most notably Thomas Jefferson. 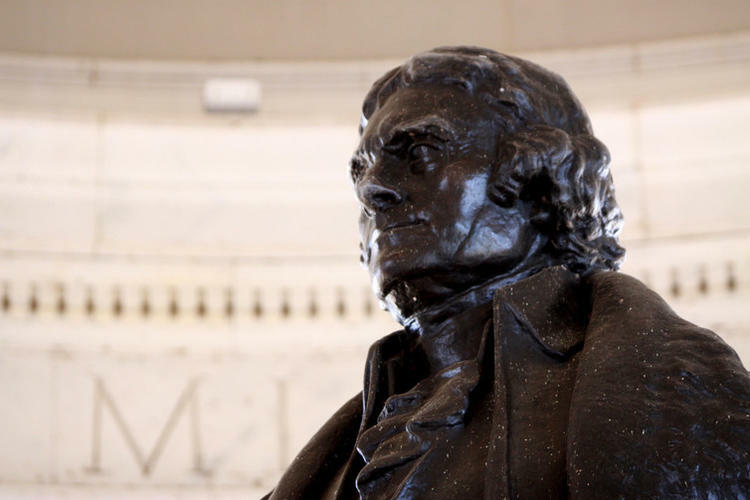 Jefferson purchased a Qur’an much before drafting the Declaration of Independence. The statute, drafted in 1777, which became law in 1786, inspired the Constitution’s “no religious test” clause and the First Amendment. Muslims once again provide a litmus test for the civil rights of all U.S. believers. Even though this administration seems to have chosen not to continue the American political tradition of celebrating Ramadan at the White House, it is still a moment to remember that Islam has long been practiced in America. Its adherents remain a pivotal part of our founding history. The very presence of Muslims in America, as American citizens, remains unacknowledged by the Trump administration, both in its speech in Saudi Arabia to “the Muslim world” and the president’s minimal statement marking Ramadan this month. Today, Muslims are fellow citizens, and their legal rights represent an American founding ideal increasingly besieged by fear mongering, precedents at odds with the best of our ideals of universal religious freedom.